Digital direct printing on textiles from ESC - amazingly simple, amazingly fast. 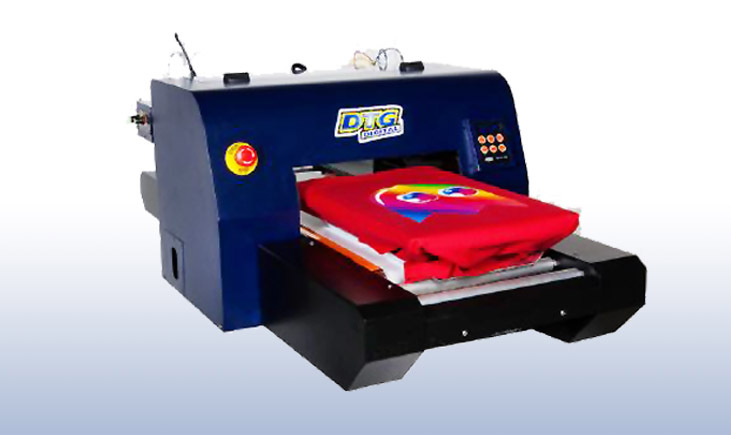 Experience with the current printing ESC DTG Digital direct printing plants, the latest and most brilliant kind textiles. We offer a range of printing systems with different formats and speeds, tailored to your needs. Strike a new path with a trend-setting digital printing system for industrial textile decoration. 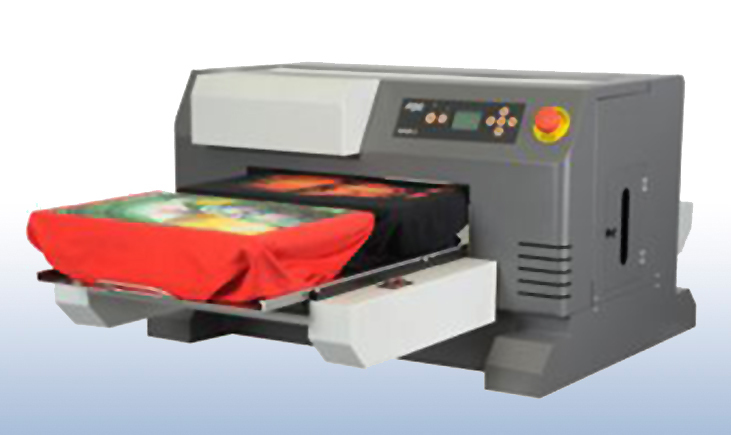 The new ESC-DTG VIPER2 printing system for direct digital printing on textiles in a max. size of 415 x 995 mm, equipped with latest print head technology for increased production speed, high accuracy and white ink reliability! Print either 4 small or 2 adult shirts simultaneously! 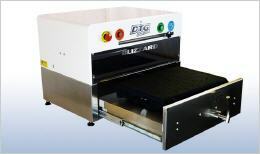 Even wide all-over prints are possible - with only one convertible TucLoc™ platen! Engineered and built tor durability and consistent print accuracy, vibrancy and most importantly while ink reliability! Perfect pre-treatment for perfect print results! Manual pre-treatment of T-shirts can be a very time-consuming and unpleasant job inevitably wasting too much of pre-treat liquid. The ESC DTG Blizzard is a time and cost-saving solution to substitute the formerly manual application of primer on textiles.